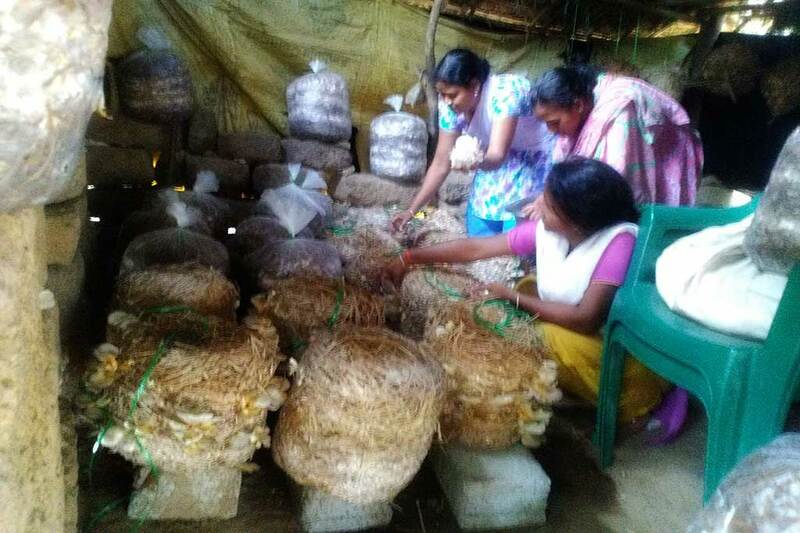 Women in Guptapada, Odisha are happy to report they have successfully started mushroom cultivation. The project funds were raised by their Self Help Group and then three women from the SHG took the initiative to prepare a bamboo polyhouse. 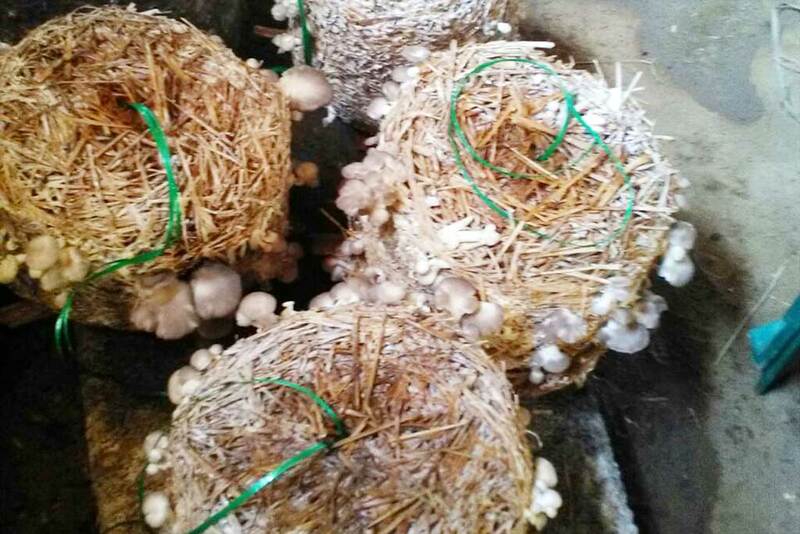 There they cultivated the mushrooms under optimum temperature and ventilation conditions. The mushrooms are grown in paddy straw which is first soaked in water for 6-8 hrs, then left standing to allow extra water to seep away. Finally, the straw is cut into small pieces to prepare beds in which the mushrooms will grow. The cut paddy straw is put in polybags and mushroom seeds are planted at every 2-3 inch depth of the straw. The beds are left for 21 days, after which the polybag covering is removed and mushrooms start sprouting. The women have prepared 80 such beds, each bed producing 1 to 1.5 kg of mushrooms. Our fellow at the village, Ashit Kumar Pattanaik, says that the investment per bed is around Rs 30 and the harvested mushrooms are being sold at a price of 50-60 Rs per kg. With such success, more women from the SHG would like to invest in this initiative.